Thierry Henry has been appointed manager of Monaco - but what kind of challenge does he face at the Ligue 1 club? The former Arsenal and France star - who will be unveiled to the media on Wednesday - has returned to the club where he started his career after working as assistant manager for the Belgium national team and helping them to a third-place finish at the World Cup. Henry joins Monaco with his former club in the Ligue 1 relegation zone, after taking just six points and one win from their first nine games of the season. That wretched start to the campaign led to the board making the tough call to part ways with Leonardo Jardim, the manager who delivered Monaco's first league title in 17 years in 2016/17. Jardim, though, had been hampered by Monaco selling a string of star players since that league win, with Kylian Mbappe, Benjamin Mendy, Bernardo Silva, Fabinho, Thomas Lemar, Joao Moutinho and Tiemoue Bakayoko among the players to have been sold. Thierry Henry has been appointed as the new Monaco head coach. With their latest summer signings suffering with injury problems and lack of form, it proved too big a task for Jardim to keep the club challenging at the top end of the table. "Basically that entire team has been taken to pieces," says Williams. "The only first-team players from the title-winning squad who are still there are Danijel Subasic, Djibril Sidibe, Jemerson, Kamil Glik and Radamel Falcao. The entire midfield from that team has gone. "In recent years Monaco have adopted a business model whereby they invest heavily in young, up-and-coming talent, groom them into top-level professionals and then sell them on at a profit. They did that throughout Leonardo Jardim's time at the club and, generally speaking, it's been very successful. Monaco had been walking a bit of a tightrope in terms of balancing the sales and purchases of players and the general feeling is that, in the most recent transfer window, they fell off it. "But they'd been walking a bit of a tightrope in terms of balancing the sales and purchases of players and the general feeling is that, in the most recent transfer window, they fell off it. "The average age of the players they signed was even lower than usual and to make matters worse, a lot of the players they signed after the title win in 2017 still haven't settled in. "Youri Tielemans, so far, has been a major disappointment, Stevan Jovetic has barely been fit and Keita Balde went back to Italy after only one season. "They've also been unlucky with the players they signed this summer. Aleksandr Golovin, who was so impressive at the World Cup, got a big injury in his first training session and has only just started playing. Nacer Chadli looks well short of fitness. "And to compound matters, the defensive stalwarts of the title win - notably Glik and Jemerson - are struggling for form, Subasic and Sidibe have had injury problems and Falcao has been off the boil for the best part of six months. "So they've got an undercooked, inexperienced squad in which the more experienced elements are either a) still settling in, b) injured or c) out of form. It's a bit of a perfect storm really! "Jardim predicted before the season had even started that this would be his most difficult season at Monaco and he wasn't wrong!" Despite those problems, Monaco remain ambitious to compete with the best in Ligue 1. While they may not be able to challenge at the very top end this season after such a poor start, a high finish will still be an objective handed to Henry, which he'll have to achieve while re-building the confidence of the squad. "Monaco will have their sights set higher up the table than just avoiding relegation," says Williams. "The level of competitiveness in Ligue 1 generally means that there's never a huge gap between the European places and the lower reaches of the table and with a decent run of form, Monaco could be in the top 10 within a month or so. "I think they'll see the top 10 as a minimum ambition, with hopes of maybe squeezing into the European places. "Top three looks out of the question though and that's their primary objective." The good news for Henry is that there will be funds for him to use in the January transfer window. "The reports in the French media suggest that Monaco's owner, Dmitry Rybolovlev, accepts that the summer transfer window was a failure and is prepared to put his hand in his pocket in January," says Williams. 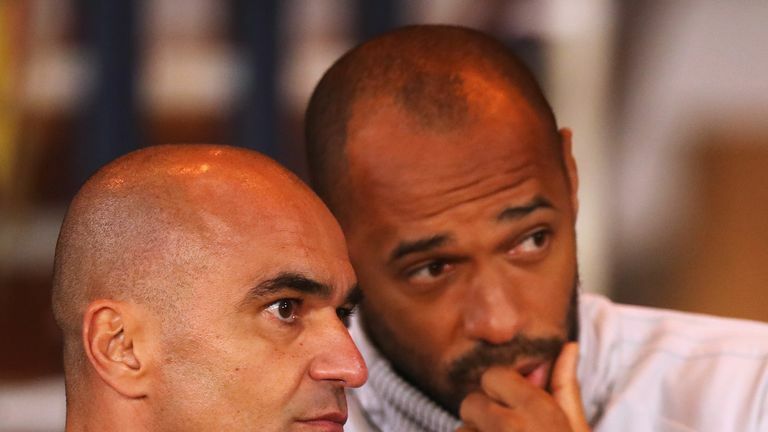 "It also seems that Henry has asked for guarantees that money will be available to spend. He asked for the same thing when he was in talks with Bordeaux and the club's inability to provide guarantees is one of the reasons why the talks broke down there." With that transfer money available and key members of the squad expected to return to form and fitness in the near future, there is light at the end of the tunnel for Monaco - and Henry could help inspire an upturn in fortunes. "There's lots of really promising raw material at Monaco and I don't think their position in the table is a reflection of their quality," says Williams. "If Henry can get Golovin, Chadli and Stevan Jovetic fit and firing, if he can help Tielemans to raise his level (and he's worked with him already with Belgium) and if he can help Falcao find some form, Monaco could do some damage." 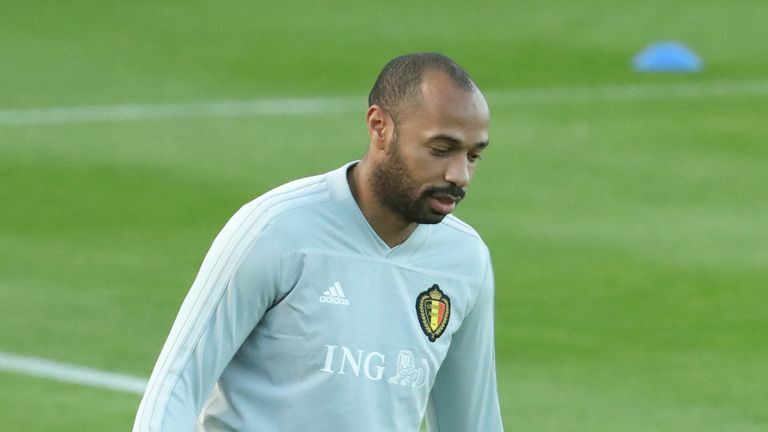 Henry has taken on a tricky task at Monaco with plenty of problems to solve - but if he can get his old club clicking again, there could be exciting times ahead.